On Saturday, February 14, 1900, a group of students from the strict and stuffy Appleyard College boarding school in the Australian state of Victoria set out to have a picnic at the base of Hanging Rock, a five hundred foot tall mountain formed by magma millions of years ago. 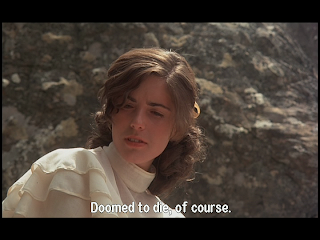 Though situated in a beautiful countryside, Hanging Rock isn't the most pleasant place to picnic, crawling with lizards, venomous snakes and poisonous ants, but these romantic poetry-loving young girls seem to enjoy themselves there... for a while. As their time at Hanging Rock goes on, things begin to get a little strange. Watches stop ticking at noon, and something about being at the rock seems to affect the minds of some. The afternoon takes on a dreamy quality and some of the girls exhibit a sort of sleepiness mixed with odd behavior and existential observations. At the end of the day, three students and a teacher have gone missing, vanished without a trace, and their disappearance is a mystery that is never solved. 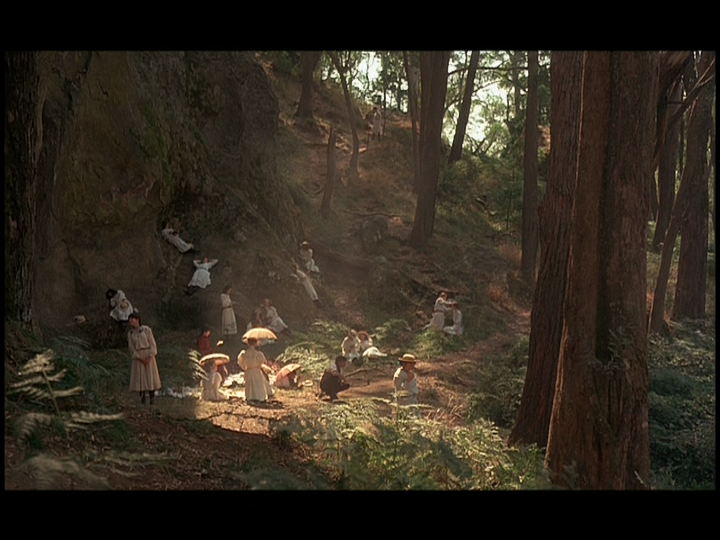 Picnic at Hanging Rock is a mood piece, all about enveloping the viewer in an unnerving tone and atmosphere, a feat that is largely accomplished through the fantastic cinematography by Russell Boyd. 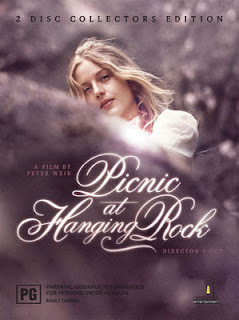 There are moments at Hanging Rock reminiscent of someone having scattered thoughts while barely awake on a bright morning, and the cinematography, editing and music perfectly matches it. Director Peter Weir has said that he wanted audiences to be hypnotized by the film. There are no outright horrific moments in the movie, but it is considered by some to be horror just because the tone was so creepy to them. I don't know if I'd call it horror myself, but it is a good, artsy, mysterious drama. While characters search for the missing girls and try to figure out what happened at Hanging Rock that Valentine's Day, there are no answers given in the end, which may frustrate some viewers, but it fits the movie. While the film, like the novel it's based on, claims to be the account of a true event, it's actually a fictional story created by author Joan Lindsay. 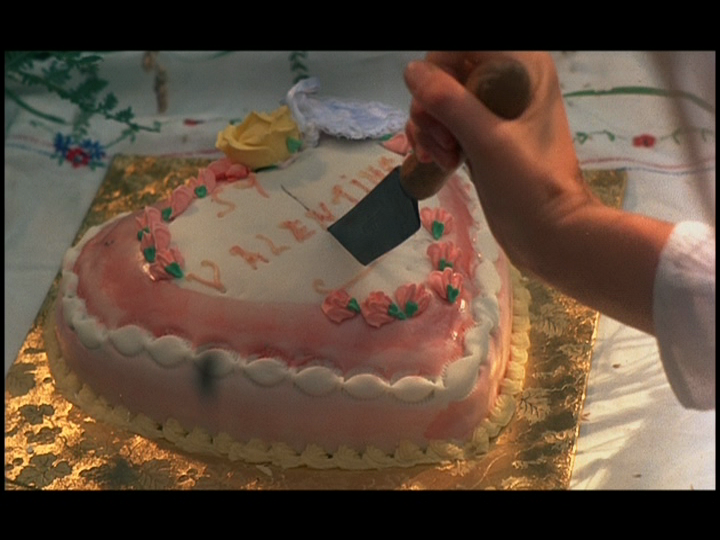 When writing her novel, Lindsay did end it with a chapter in which the mystery was solved, but that chapter was removed at the suggestion of her editor. Two young boys were also at Hanging Rock the day the girls disappeared, and as the story goes on they become involved in the search efforts. It took quite a while for me to realize that one of these boys, the one who most intensely ogles the young girls and makes crude comments about them to his pal, was played by a youthful John Jarratt, who would go on to play serial killer Mick Taylor in Wolf Creek thirty years later. The realization brought to mind similarities between this film and the more horrific Wolf Creek - both involve young people taking a trip out to an Australian landmark, in Wolf Creek's case a giant crater caused by a prehistoric meteoritie impact, and once at their destination bad things begin to happen. As in Picnic, watches stop ticking at the Wolf Creek crater, and a car stops working as well. People also go missing from the impact site, but in that movie it's quite clear that Jarratt's character is to blame. Though very different types of films overall, Picnic at Hanging Rock and Wolf Creek might make for a good double feature.